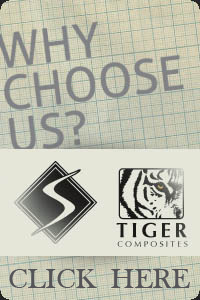 Tiger Composites, Inc. is a state-of-the-art composites design, rapid prototyping and production company. We have full capability to take any proposed part from initial concept through engineering analysis and design and to accomplish full finite element analysis to select the best composite materials and processes needed to meet our customer’s requirements. Our experience includes tooling and assembly of the newest piston and jet aircraft on the market as well as small scale models and sports gear. Whatever the size, whatever the project, we are the best choice you can make.